Recently I’ve been working with JSON in SQL Server 2016 a lot. One of the hesitations many people have with using JSON in SQL Server is that they think that querying it must be really slow — SQL is supposed to excel at relational data, not string parsing right? It turns out that performance is pretty good with the standalone SQL Server JSON functions. Even better is that it’s possible to make queries against JSON data run at ludicrous speeds by using indexes on JSON parsed computed columns. In this post I want to take a look at how SQL is able to parse* with such great performance. *“Parse” here is actually a lie —it’s doing something else behind the scenes. You’ll see what I mean, keep reading! The only way to get JSON indexes working on SQL server is to use a computed column. A computed column is basically a column that performs a function to calculate its values. By default, the above Make computed column is non-persisted, meaning its values are never stored to the database (persisted computed columns can also be created, but that’s a topic for a different time). 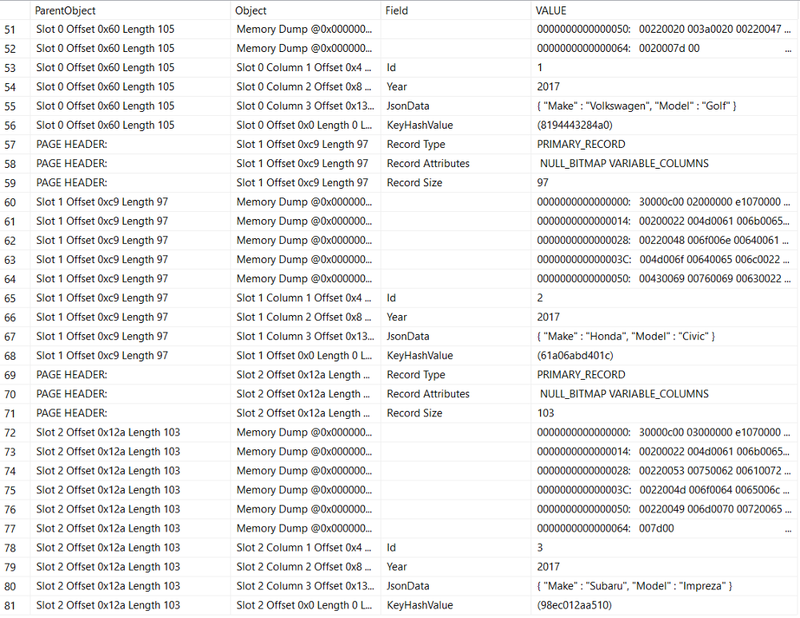 Instead, every time a query runs against our dbo.DealerInventory table, SQL Server will calculate the value for each row. The performance of this isn’t great — it’s essentially a scalar function running for each row of our output :(. However, when you combine a computed column with an index, something interesting happens. DBCC Page is an undocumented SQL Server function that shows what the raw data stored in a SQL page file looks like. Page files are how SQL Server stores its data. 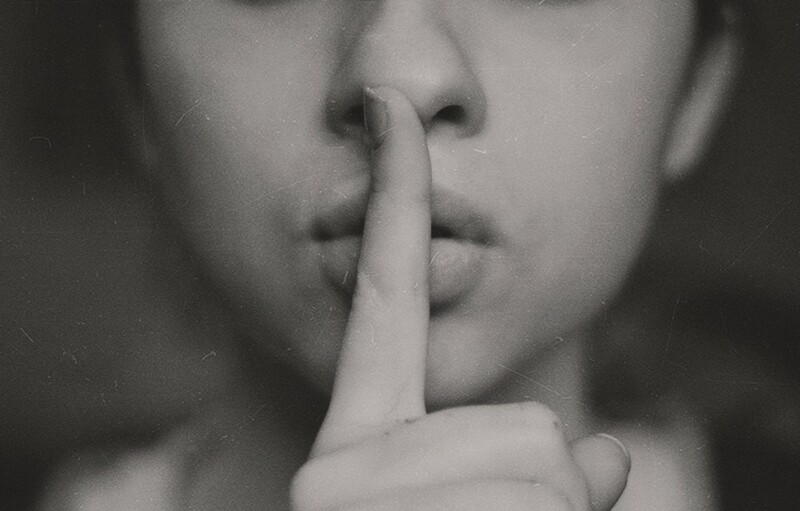 In the rest of this post we’ll be looking at how data pages (where the actual table data in SQL is stored) and index pages (where our index data is stored) are affected by non-persisted computed columns — and how they make JSON querying super fast. First, let’s take a look at the existing data we have. We do this by first turning on trace flag 3604 and using DBCC IND to get the page ids of our data. Additional details on the column definitions in DBCC IND and DBCC PAGE can be found in Paul Randal’s blog post on the topic. You can see our three rows of data highlighted in red. The important thing to note here is that our computed column of the parsed “Make” value is truly non-persisted and no where to be found, meaning it has to get generated for every row during query execution. What does this mean? I thought non-persisted computed columns aren’t saved to disk! Exactly right: our non-persisted computed column “Make” isn’t saved to the data page on the disk. However if we create an index on our non-persisted computed column, the computed value is persisted on the index page! 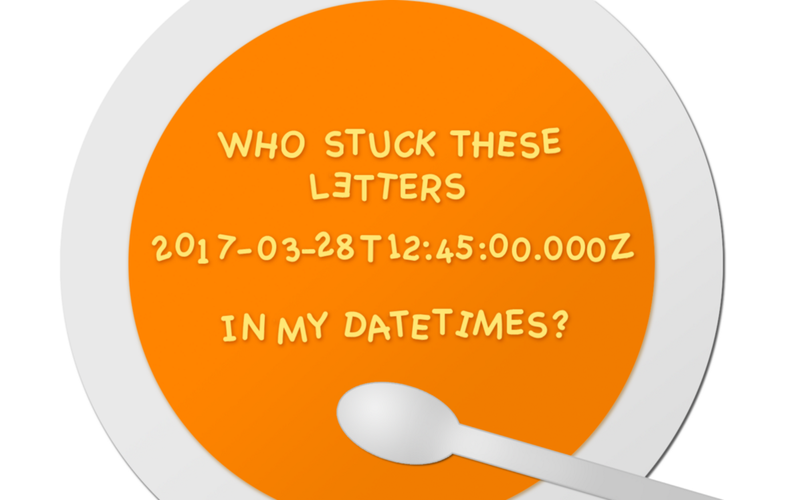 Who Stuck These Letters In My DateTimes? Parsing, creating, and modifying JSON in SQL Server 2016 is really easy. JSON dates and times are not. Coming from a predominantly SQL background, the JSON DateTime format took some getting used to, especially when it came to converting SQL datetimes to JSON and vice versa. The remainder of this post will get you well on your way to working with JSON date times in SQL Server. Now that we know the key differences between SQL datetime2 and JSON date time strings, let’s explore common transformations when working with JSON data in SQL. -- 7 zeroes after the decimal? Our source only had 3 zeroes! -- So now we are returning our UTC date time from JSON, but what if we need to convert it to a different time zone? -- Using SQL Server 2016's AT TIME ZONE with CONVERT() will allow us to do that easily. Taking date/time data out of JSON and into SQL was pretty easy. What about going the opposite direction and inserting SQL date/time data into JSON? -- Honestly that's not too bad! -- Although this is pretty much what we need, what if we want to be explicit and specify that we are in UTC? -- You might notice that there are 7 fractional second decimal places in all of the above examples. -- Although out of JSON spec, this is ok! So we’ve seen how easy it is to parse and create JSON date/time strings, but what about modifying JSON data? -- If we want to pass in a SQL datetime2 value, say like what we have stored in @newDate, then things get a little messy. -- we need to get our SQL datetime2 into a valid JSON string first. -- But what happened to our "Z" indicating UTC? Overall, working with JSON dates/times is really easy using SQL Server 2016’s new JSON functions. Microsoft could have done a really bad job not following the ECMA standards, but they did a great job crossing their T‘s and placing their Z‘s. Author BertPosted on March 28, 2017 September 16, 2017 Categories SQL LessonsTags Dates, Json, Programming, SQL ServerLeave a comment on Who Stuck These Letters In My DateTimes?